You aren’t going to sucker Nets rookie Rondae Hollis-Jefferson into shelling out thousands and thousands a month just for a NYC zip code. As the Journal writes, the 20-year-old has called the city’s rents “ridiculous,” and even though he’s earning $1.33 million for his first year with the NBA team, he’d rather have roommates than blow all that cash on an apartment. Hollis-Jefferson’s decision to make the commute from Jersey came when he received his first paycheck and realized that most had gone to taxes and other dues. “When I saw the check, I saw half of the money was gone,” he said. “…I was like, ‘Who do I call here? What’s going on?’” He also said he didn’t want to end up like so many other NBA players before him filing for bankruptcy. 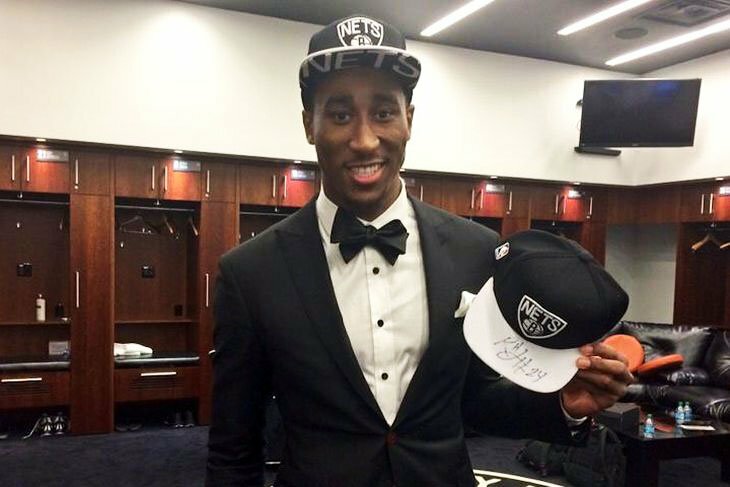 So instead of living it up, Hollis-Jefferson is living rather modestly with his brother and a buddy in a North Jersey pad, making the daily drive to the Nets’ Brooklyn practice facility or their East Rutherford, New Jersey location 25 minutes away. Hollis-Jefferson does eventually want to move to Brooklyn, but mostly because the traffic along his commute is so bad. If he does head that way, he’ll be the first Nets player to live in the borough.